Having been a fan of Liz Earle for a few years now (my obsession with their products started here), I’d only ever purchased their products online and so when I was invited to their Guildford branch in Surrey for an evening of bubbles, truffles and beauty demonstrations I literally jumped at the chance. 7 Days to go until the big party- Drink plenty of water to keep your skin hydrated and looking healthy. They recommended drinking up to eight glasses of water a day (sipping little and often) to help flush out those nasty toxins and to leave your skin looking plump and fresh. 5 Days to go- Smooth your body- body brushing is something that I started doing before our wedding. Liz Earle has a gorgeous natural bristle brush which I use before the shower to brush away dead skin (yuk!) and you really do notice how much smoother your skin is after showering. They then recommend using their Nourishing Botanical Body Cream to leave your skin soft and moisturised. 2 Days to go- Silky Skin- After waxing and shaving they suggested a genius idea of using their Botanical After-Sun Gel which can relieve any red and irritable skin that shaving and waxing can cause. Usually our after sun gels are by now pushed to the back of the cupboard until next summer, which by then are sometimes dried up or mouldy and so discarded, so it’s a great idea to make use of them throughout the winter season too. 1 Day to go- Cheat a Facial- Aside from your usual cleanse, tone and moisturise, it’s always good to teat your face to a home face mask every now and then. Liz Earle suggest using their Intensive Nourishing Treatment Mask to give your skin a little extra pampered glow before your big night out. I use this product every so often and it never fails to leave my skin feeling soft, smooth and refreshed. It’s a perfect treat whilst having a bath and reading a good book! I will definitely be asking the big man for this in my stocking! My gorgeous sister in law and one of my bestest buds! We had such a lovely evening and I came home with a few new products that I absolutely love and have used everyday since. The staff were so welcoming, helpful and passionate about the products that you know you are in good hands. I will most definitely be making another trip to the store soon, but perhaps I’ll wait and see what Father Christmas brings me first. I have been a good girl after all. For product details and prices please check out their website Liz Earle. What are your beauty preparations and regimes for the party season? 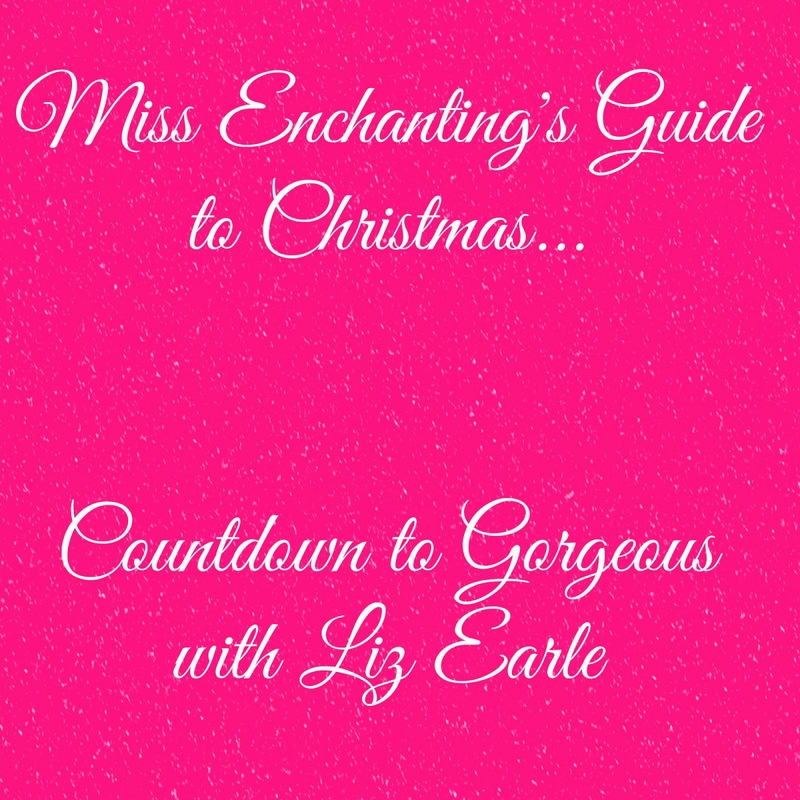 Disclaimer- ‘Countdown to Gorgeous’ courtesy of Liz Earle. Next Post Guide to Christmas…Gifts for Newlyweds!